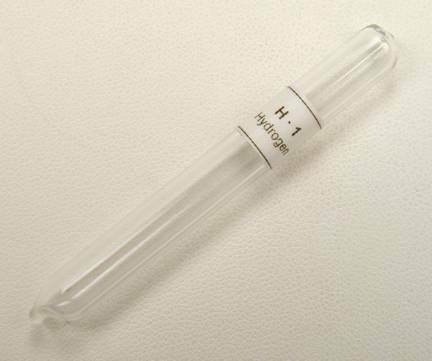 Description: Pure Hydrogen gas offered in a sealed glass ampoule. 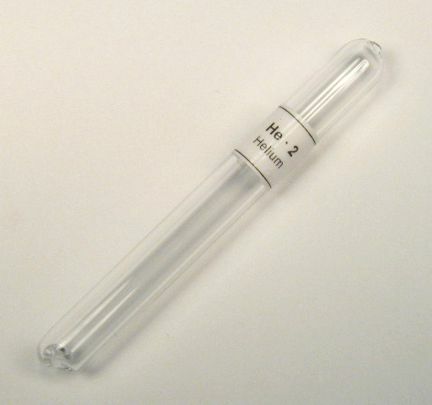 Description: Pure Helium gas offered in a sealed glass ampoule. 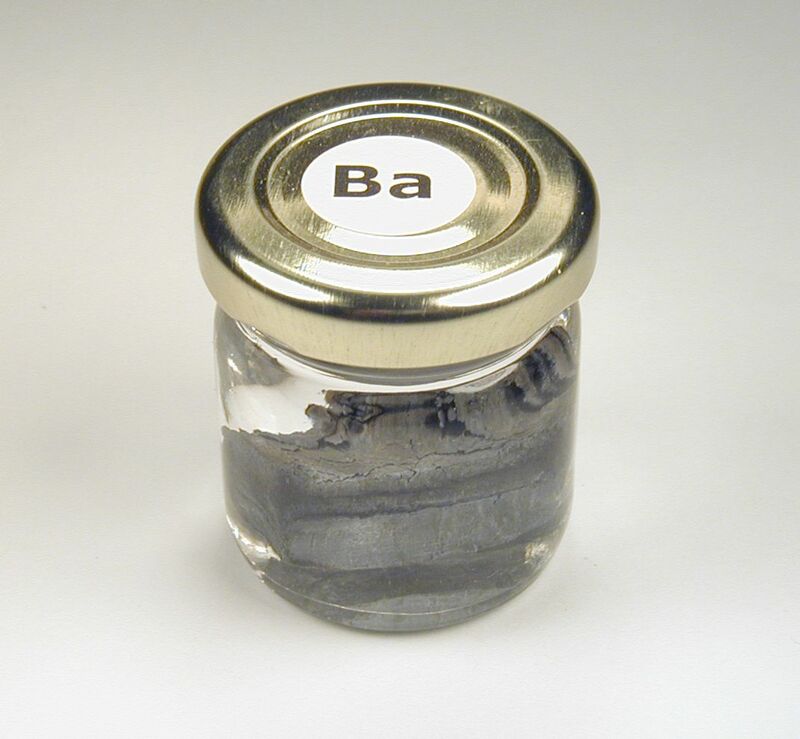 Description: Lithium metal safely packaged under mineral oil in a sealable glass jar. 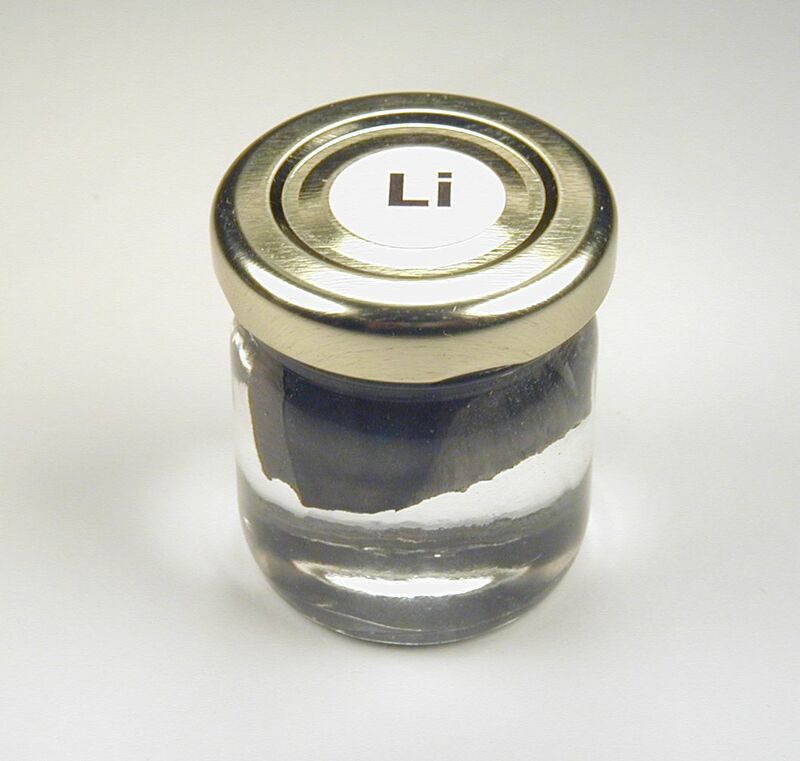 Lithium is the lightest metal by far and will react vigorously with water releasing hydrogen gas. Also offered is a chip of lithium metal in a vacuum and argon-sealed glass ampoule. NOTE: A disclaimer is required for this item, please inquire prior to purchase. HAZMAT shipping required, click here before purchasing. 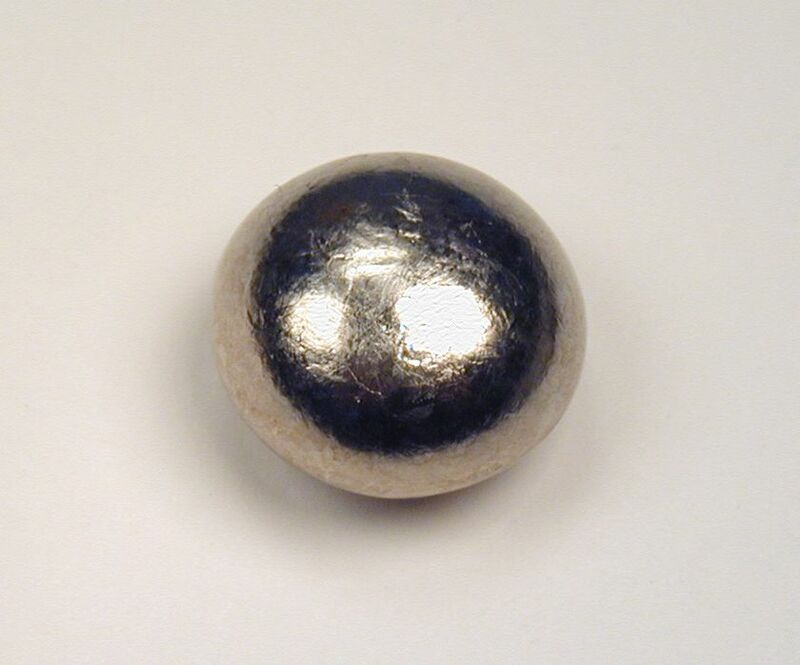 Description: Solid metal Beryllium pellets available in several sizes (weights are approximate). Also offered are shiny metal chips in a vacuum and argon-sealed glass ampoule. A 1/2 inch diameter rod is also available. Packaged in a polybag. Upon request, a Certificate of Analysis will be provided showing purity of the metal and quality data. 1/4 to 3/8 inch dia. 3/8 to 1/2 inch dia. 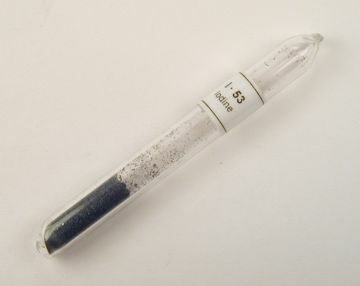 Description: Amorphous Boron brown powder in a 5-gram sample. Packaged in a glass jar with metal cap. 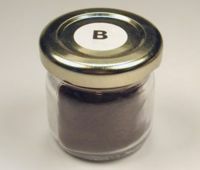 Also offered is amorphous boron brown powder in a glass ampoule. Description: Solid Carbon graphite rod 1/2 inch diameter similar to several metal rods offered in this list. Packaged in a polybag. Also offered is a cut piece of Graphite and samples of diamond powder and fullerenes in a vacuum and argon-sealed glass ampoule. 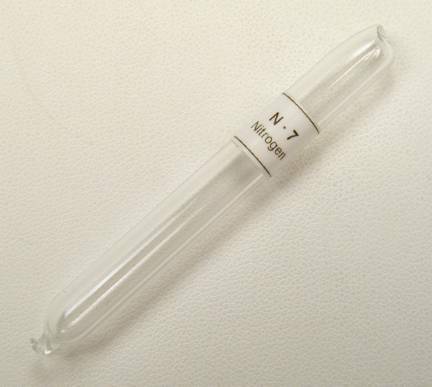 Description: Pure Nitrogen gas offered in a sealed glass ampoule. 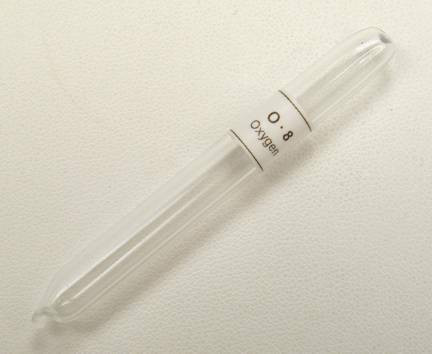 Description: Pure Oxygen gas offered in a sealed glass ampoule. 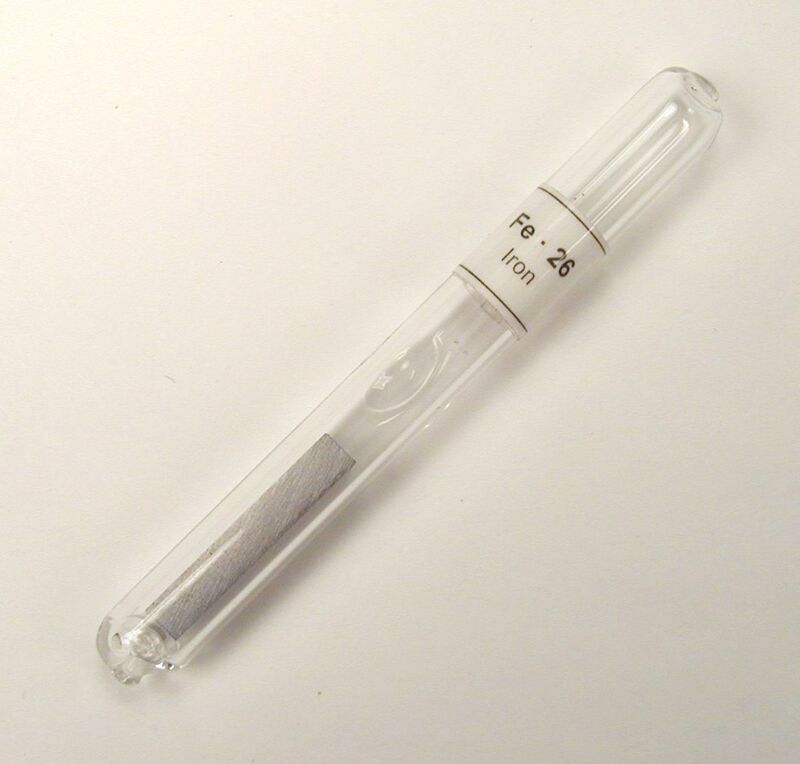 Description: Offered mainly as an alternative to a Fluorine gas sample in an element set. It is exceedingly difficult to seal a fluorine gas sample in a glass ampoule due to its reaction with glass. Any fluorine sample sealed in glass would eventually etch the inside surface and consume the sample. 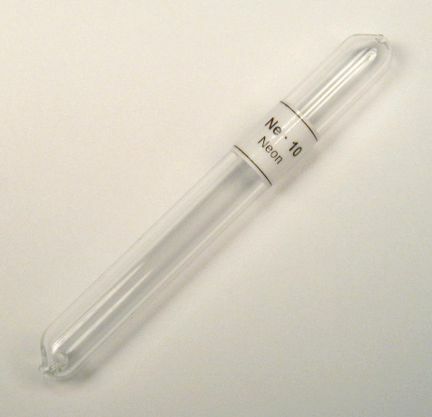 Description: Pure Neon gas offered in a sealed glass ampoule. Description: Sodium metal safely sealed in a glass ampoule under Argon gas. Sodium will react violently with water releasing hydrogen gas and igniting it. 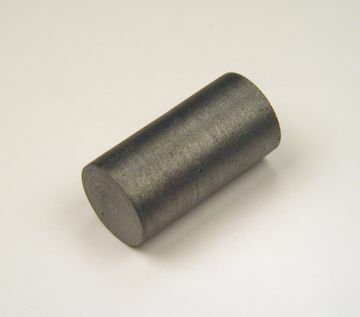 Description: Solid metal Magnesium piece cut from a larger ingot. Also, a 1/2 inch diameter rod, similar to rods offered in several other metals. Also offered is a well-preserved shiny piece in a vacuum and argon-sealed glass ampoule. Packaged in a polybag. Description: A nicely shaped rod of pure Aluminum metal, 1/2 inch (13mm) diameter and 1 inch (25mm) long. Cut and polished to make a very pleasing display piece. Also offered is a 10-gram pellet and a well-preserved shiny piece in a vacuum and argon-sealed glass ampoule. Packaged in a polybag. Upon request, a Certificate of Analysis will be provided for the rod showing purity of the metal and quality data. Description: Solid chunk of pure Silicon chopped from a larger piece. Also offered are silicon chips in a vacuum and argon-sealed glass ampoule. Packaged in a polybag. Description: Red amorphous Phosphorus, more stable and less hazardous than the white form of this non-metallic element. Offered as a small sample in an argon-sealed glass ampoule. 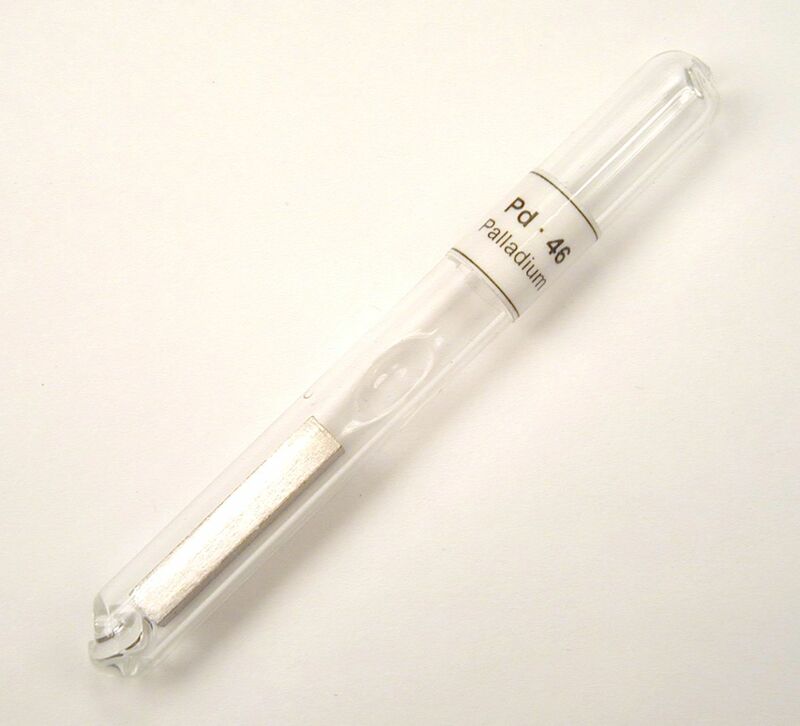 Also available is a sealed glass ampoule of the white/yellow form of phosphorus embedded in a resin casting. The resin casting is clear solid plastic that is an excellent method of safely displaying hazardous materials such as phosphorus. The resin is very rugged and impact-resistant. For phosphorus items, the purchase limit is one per customer. Description: Solid Sulfur ingots cast from molten state. Some will show crystalline structure on top surface, smooth on bottom. Also offered is a small sample of chips and a square-cut slab in an argon-sealed glass ampoule. A 1/2 inch diameter rod is also available. Packaged in a polybag. 20 Grams, 1.5 inch dia. 40 Grams, 2 inch dia. Description: Pure chlorine gas safely sealed in a glass ampoule. Viewing the ampoule from one end clearly exhibits the green color of this gas. Packaged and shipped safely in protective shielded packaging. Ampoule, 4 inches long, 1/2 inch dia. Description: Pure Argon gas offered in a sealed glass ampoule. Description: Potassium metal safely sealed in a glass ampoule under Argon gas. Potassium will react violently with water releasing hydrogen gas and igniting it. Description: Solid metal Calcium piece cut from a larger ingot and descaled to expose the shiny metal. 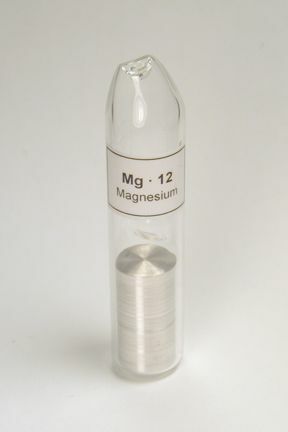 Feels lightweight like magnesium or aluminum. Packaged in a 40ml vial with mineral oil. In addition, offered is a well-preserved shiny piece in a vacuum and argon-sealed glass ampoule. A 1/2 inch diameter rod is also available, vacuum-sealed in a glass ampoule. Upon request, a Certificate of Analysis will be provided showing purity of the metal and quality data. Description: Pure Scandium metal in dendritic form. These pieces clearly show the beautiful dendritic luster of this shiny, light metal. Packaged in a polybag or for the 1g sample, a 20ml clear plastic vial. A 5-gram arc-cast pellet is available. Also offered is a 1/2 inch diameter rod and a well-preserved shiny piece in a vacuum and argon-sealed glass ampoule. Upon request, a Certificate of Analysis will be provided showing purity of the metal and quality data. Description: A nicely shaped rod of pure Titanium metal, 1/2 inch (13mm) diameter and 1 inch (25mm) long. Cut and polished to make a very pleasing display piece. Also offered is a well-preserved shiny piece in a vacuum and argon-sealed glass ampoule, and a 10-gram pellet. Packaged in a polybag. Upon request, a Certificate of Analysis will be provided for the rod showing purity of the metal and quality data. Description: Vanadium metal pieces cut from a larger ingot. Very difficult metal to find in pure form. Offered as a nicely shaped 1/2 inch diameter rod. Also offered is a well-preserved shiny piece in a vacuum and argon-sealed glass ampoule. Packaged in a polybag. Upon request, a Certificate of Analysis will be provided for the ingot showing purity of the metal and quality data. A 10-gram shiny arc-cast pellet is also available. Description: Shiny Chromium ingot. The material is layered, indicating possible creation by thermite reaction with aluminum. A nicely shaped rod is available, similar to other rods offered on this site. Also offered is a well-preserved shiny piece in a vacuum and argon-sealed glass ampoule. Description: This Manganese metal piece is a rare form of this otherwise common metal. Packaged in a polybag. Also offered are well-preserved shiny pieces in a vacuum and argon-sealed glass ampoule. Description: A nicely shaped rod of pure Iron metal, 1/2 inch (13mm) diameter and 1 inch (25mm) long. Cut and polished to make a very pleasing display piece. Obviously a very common metal, but like vanadium and manganese, tough to find in very pure form except as powder. Also offered is a well-preserved shiny piece in a vacuum and argon-sealed glass ampoule. Packaged in a polybag. Upon request, a Certificate of Analysis will be provided for the rod showing purity of the metal and quality data. Description: A nicely shaped rod of pure Cobalt metal, 1/2 inch (13mm) diameter and 1 inch (25mm) long. Cut and polished to make a very pleasing display piece. Also offered are an arc-melted pellet and a well-preserved shiny piece in a vacuum and argon-sealed glass ampoule. Packaged in a polybag. Upon request, a Certificate of Analysis will be provided for the rod showing purity of the metal and quality data. Description: Solid Nickel rod, 1/2 inch (13mm) diameter and 1 inch (25mm) long. Cut and polished to make a very pleasing display piece. Also offered is a well-preserved shiny piece in a vacuum and argon-sealed glass ampoule. Packaged in a polybag. 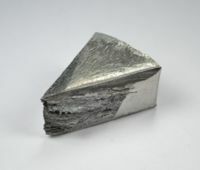 Description: A nicely shaped cast ingot of pure Zinc. This ingot matches the size of several other cast ingots offered on this site. A 1/2 inch diameter rod and a 10-gram pellet are also available. Also offered is a well-preserved shiny piece in a vacuum and argon-sealed glass ampoule. Packaged in a polybag. Description: Solid metal Gallium ingot. Also a nicely shaped Gallium rod. 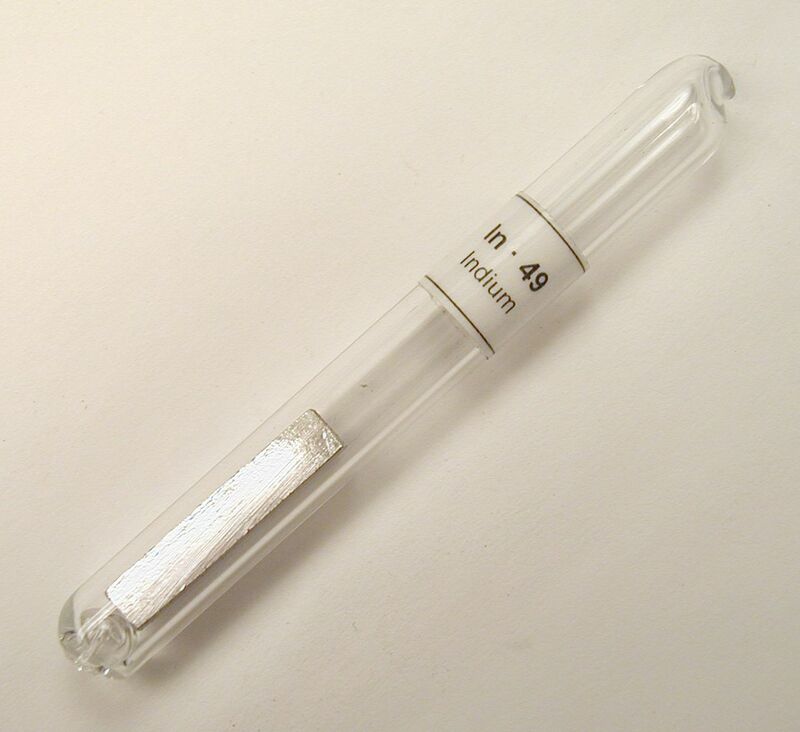 Gallium melts at 86 degrees F and melts in your hand when held for several minutes. Packaged in a polybag. Also offered are well-preserved shiny metal chips in a vacuum and argon-sealed glass ampoule. Description: Solid Germanium metal. Beautiful shiny piece chopped from a larger ingot with brilliant mirror-like metallic surfaces. Also offered are shiny metal chips in a vacuum and argon-sealed glass ampoule. Packaged in a polybag or for the 1 gram size, a 20ml clear plastic vial. Upon request a Certificate of Analysis will be provided showing purity of the metal and quality data. Description: A small sample of pure Arsenic safely sealed in a vacuum and argon-sealed glass ampoule. Arsenic is a well-known toxin and is one of the most toxic elements in the periodic table. Limit one per customer. Description: These solid Selenium ingots were cast in a mold to create these unusual, beautiful forms of this element. Usually encountered in shot or powder form, these Selenium pieces have a brilliant glassy shine. Also offered are shiny solid chips and a square-cut slab in an argon-sealed glass ampoule. Packaged in a polybag. 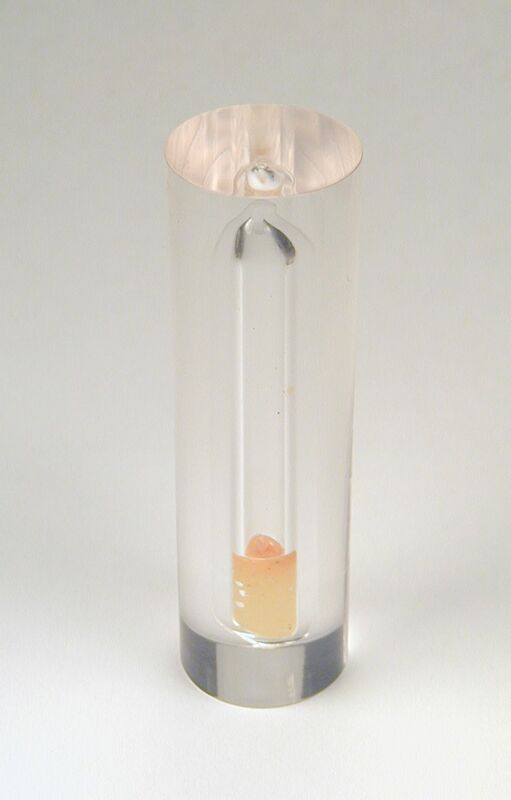 Description: Pure liquid Bromine packaged safely in a glass ampoule. Also available is an ampoule embedded in a resin casting. The resin casting is clear solid plastic that is an excellent method of safely displaying materials such as Bromine. The plastic is very rugged and impact-resistant. Description: Pure Krypton gas offered in a sealed glass ampoule. Description: Rubidium metal safely packaged in our standard-sized ampoule with about 0.2 grams of metal. 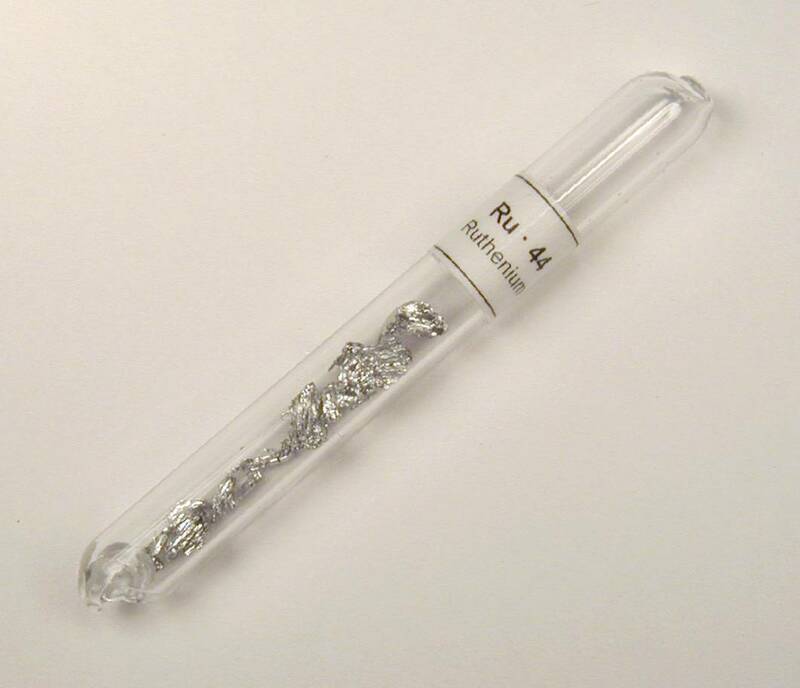 Rubidium will react violently with water releasing hydrogen gas and igniting it. Also the metal will catch fire upon exposure to air. 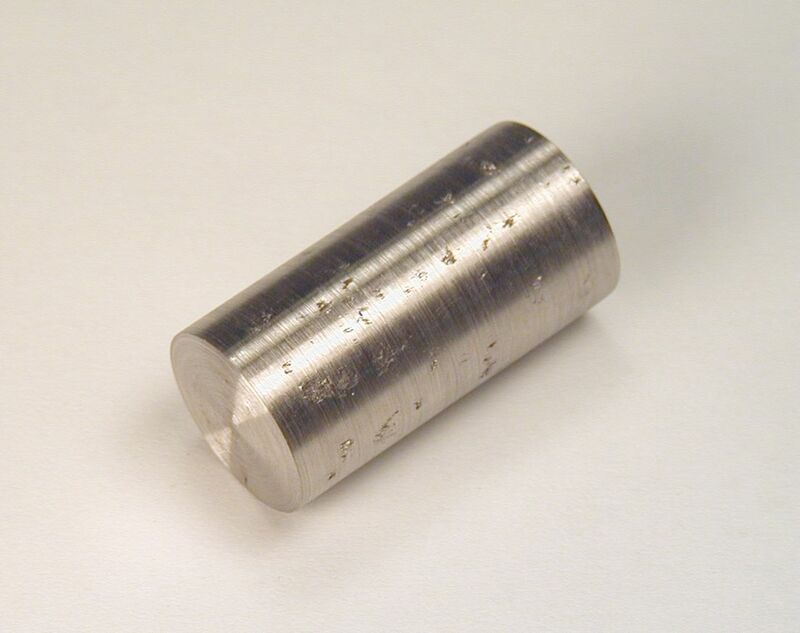 Description: This Strontium metal ingot was cut from a much larger chunk of metal that was formed from vapor (dendritic). The ingot is rigid however on a few faces the dendritic pattern may be clear and apparent. It is similar to the grain in wood. Packaged in a 40ml vial with mineral oil. Upon request a Certificate of Analysis will be provided showing purity of the metal and quality data. Also offered is a smaller sample consisting of 2-3 pieces totaling about 5 grams (right side picture). Also available is an ampoule with a solid piece of cast Strontium - the metal will not be shiny but is well-preserved in the ampoule. 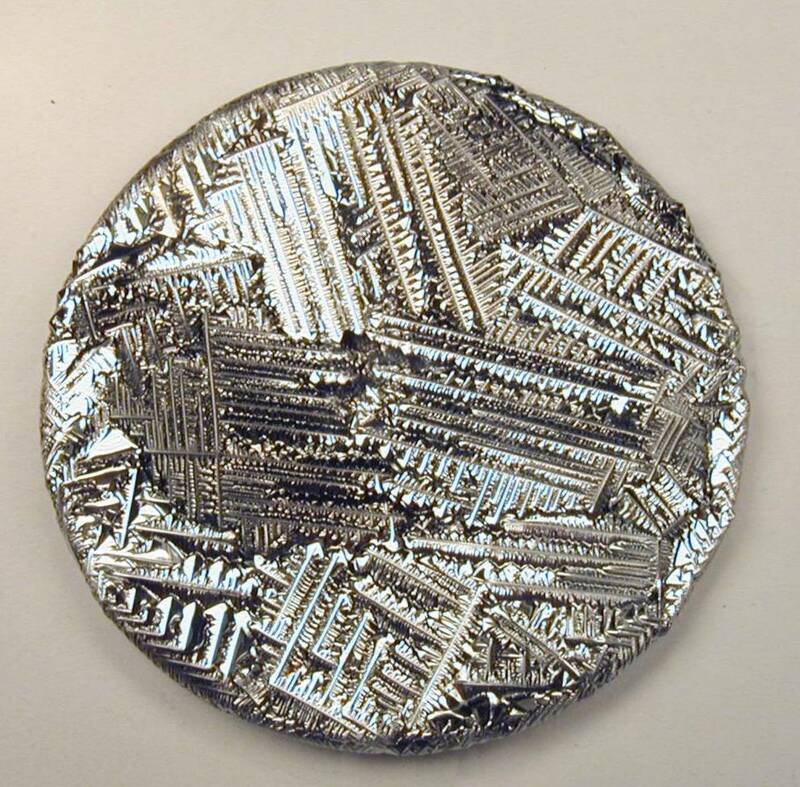 Description: Solid chunk of Yttrium metal. Some surfaces are shiny, others show the broken surface of the chopping action that created the piece. 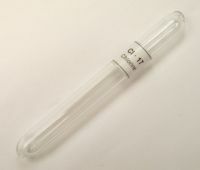 Packaged in a polybag or for the 5g sample, a 20ml clear plastic vial. Upon request a Certificate of Analysis will be provided showing purity of the metal and quality data. A 1/2 inch diameter rod is offered, similar to rods of several other metals offered on this site. Also offered is a nicely shaped solid cast ingot with a smooth shiny top surface and a well-preserved shiny piece in a vacuum and argon-sealed glass ampoule. 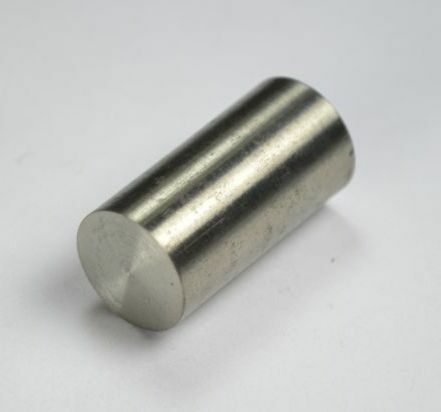 Description: A nicely shaped rod of pure Zirconium metal, 1/2 inch (13mm) diameter and 1 inch (25mm) long. Cut and polished to make a very pleasing display piece. Also offered are an arc-cast pellet and a well-preserved shiny piece in a vacuum and argon-sealed glass ampoule. Packaged in a polybag. Upon request a Certificate of Analysis will be provided showing purity of the metal and quality data. Description: The Niobium ingot in the first picture was cast in an arc-melt furnace and has a brilliant shine which will turn slightly bluish on exposure to air for a long period of time. Usually seen only in alloyed form. A 10-gram pellet is also available. Also offered is a rod 1/2 inch dia x 1 inch long. 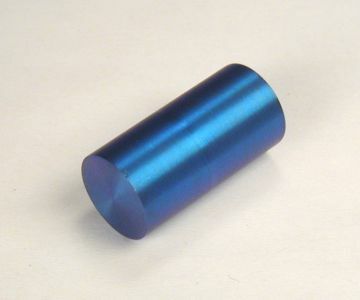 A 1/2 inch rod is also available that has been blue anodized. Also offered is a well-preserved shiny piece in a vacuum and argon-sealed glass ampoulee. Packaged in a polybag. Description: Pure Molybdenum metal slug. Also offered are a nice 1/2 inch diameter rod and a 10-gram cast pellet. Also available is a well-preserved shiny piece in a vacuum and argon-sealed glass ampoule. Packaged in a polybag. Description: Solid metal Ruthenium arc-cast pellets in different sizes. A beautiful, brilliantly shiny example of this precious metal. Packaged in a polybag. Also offered are well-preserved Ruthenium chips in an argon-sealed glass ampoule. The chips are shiny and include no powder. Upon request a Certificate of Analysis will be provided showing purity of the metal and quality data. Description: Solid metal Rhodium pellet arc-cast from powder. 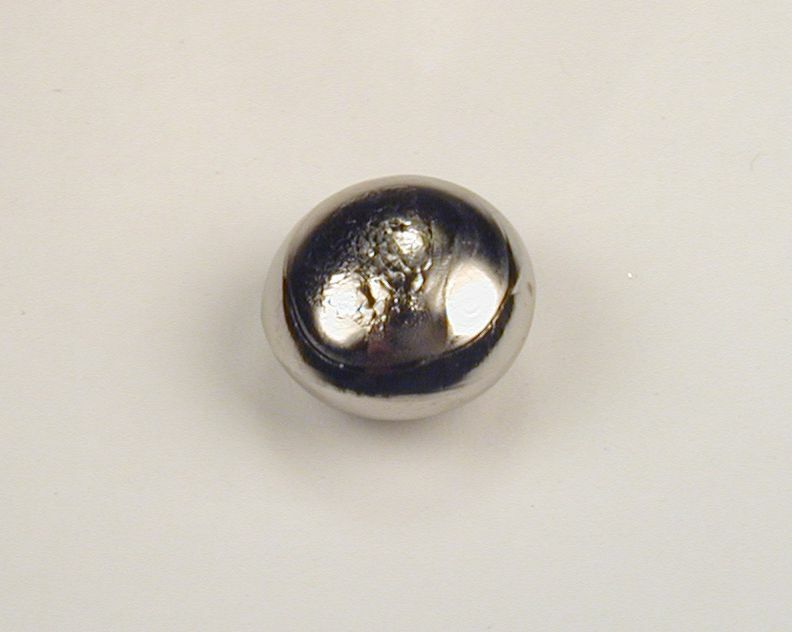 Rhodium is a rare precious metal whose appearance and color resembles silver. Packaged in a polybag. Upon request a Certificate of Analysis will be provided showing purity of the metal and quality data. 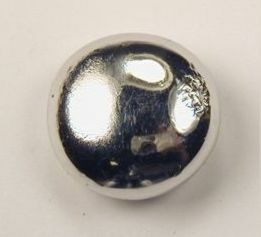 Description: Solid metal arc-cast Palladium pellets. 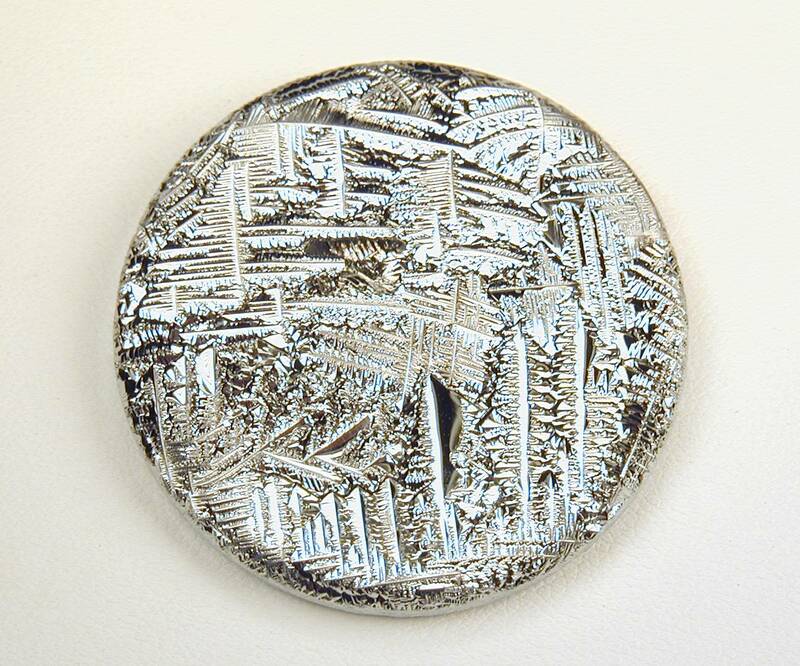 Palladium is a rare silvery-white precious metal also available in the market as bullion coins and bars. Packaged in a polybag. Upon request a Certificate of Analysis will be provided for the pellet showing purity of the metal and quality data. 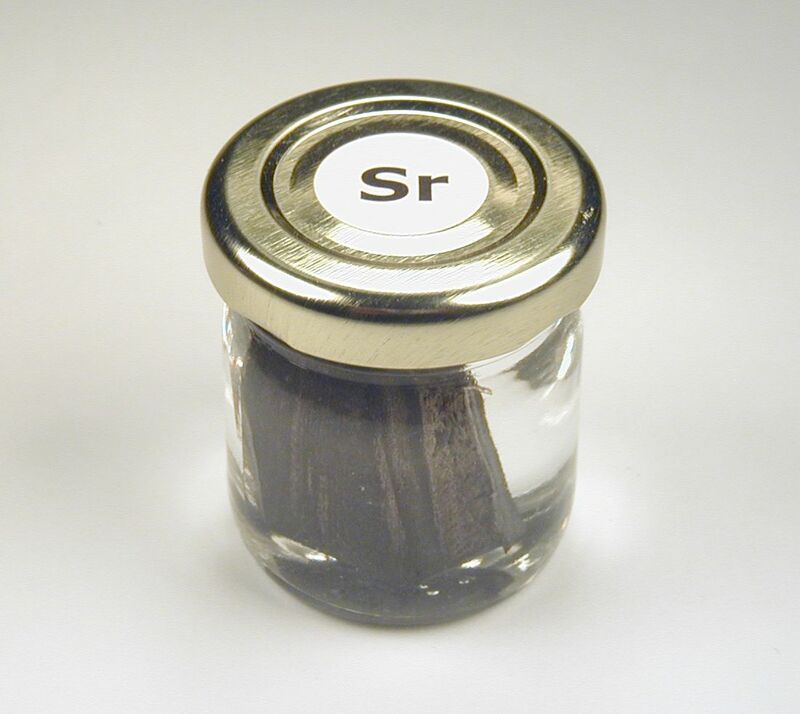 Also available is a well-preserved shiny square-cut piece in a vacuum and argon-sealed glass ampoule. Description: Solid pellets melted from pure silver metal. Selling price is higher than the spot price due to the labor cost of melting the pieces. Also offered is a well-preserved shiny piece in a vacuum and argon-sealed glass ampoule. Packaged in a polybag. Upon request a Certificate of Analysis will be provided for the pellet showing purity of the metal and quality data. Description: A nicely shaped cast ingot of pure Cadmium and a 10-gram pellet. This ingot matches the size of several other cast ingots offered on this site. A 1/2 inch diameter rod is also available. In addition, a well-preserved shiny piece in a vacuum and argon-sealed glass ampoule. Packaged in a polybag. NOTE: A disclaimer is required for the Cadmium 50g ingot, 10g pellet and for the 1/2 inch rod, please inquire prior to purchase. 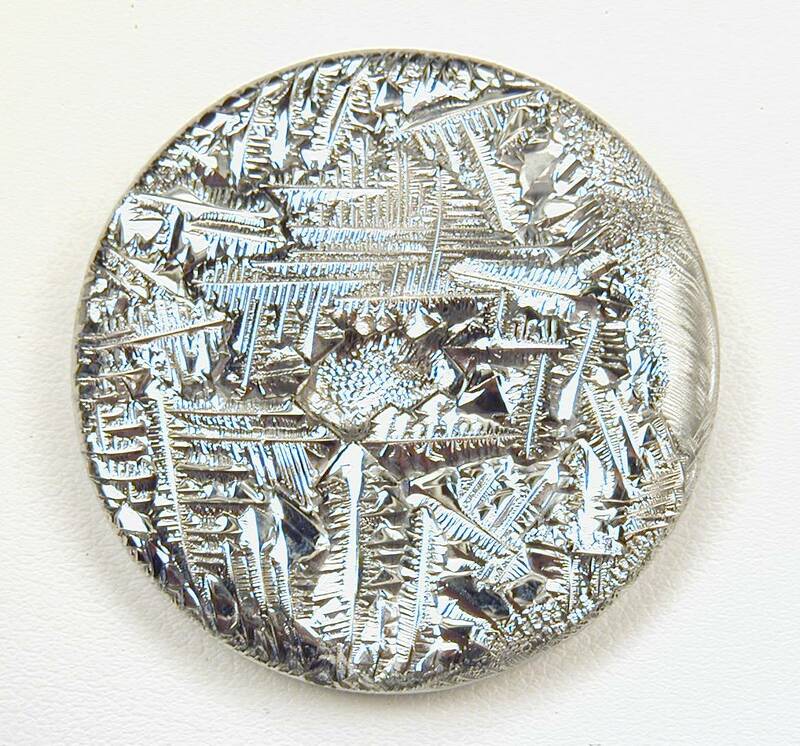 Description: One troy ounce (31g) solid metal Indium cast ingot which measures about 1 1/4 inches in diameter (31mm). 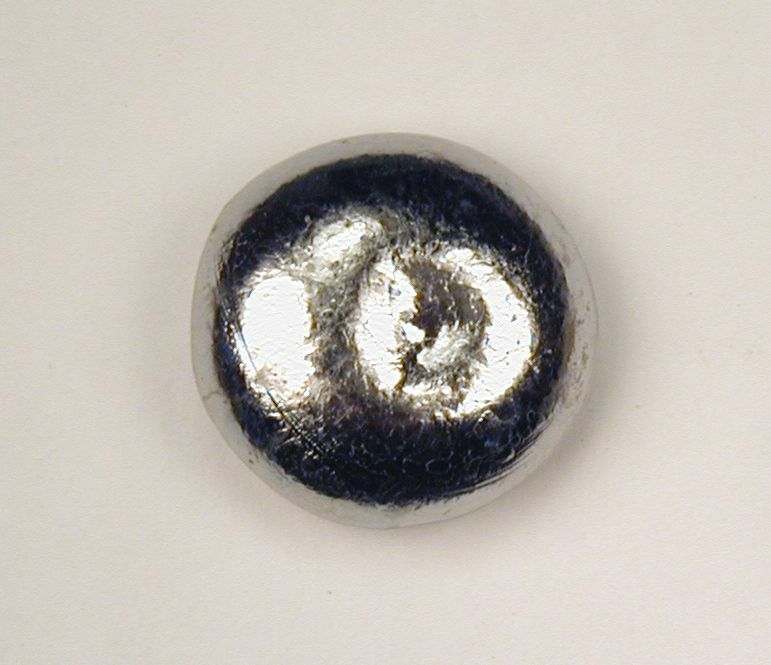 Indium is a very soft metal and can be easily impressed with your fingernail and can be cut with a knife. It is very corrosion resistant and will keep its shine indefinitely. Also offered is a well-preserved shiny piece in a vacuum and argon-sealed glass ampoule. 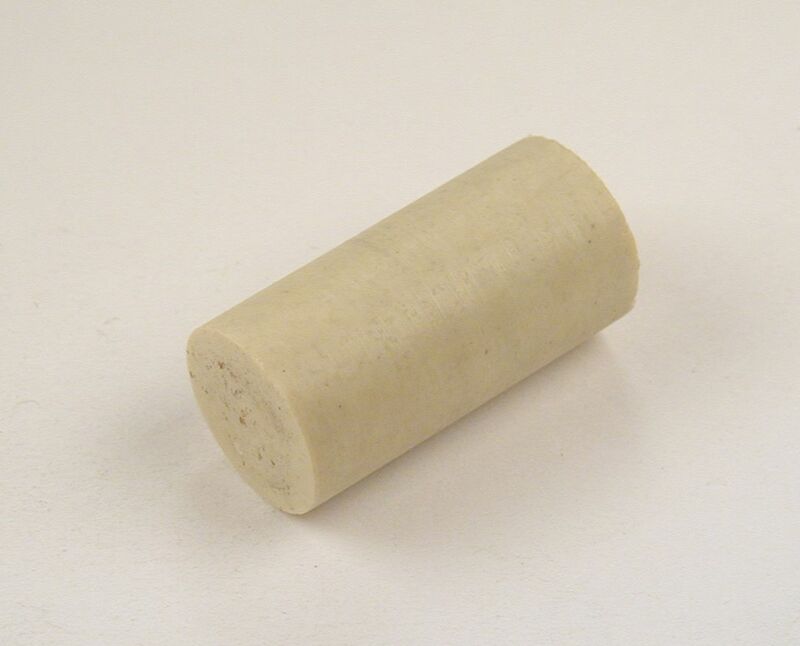 In addition, a 1/2 inch diameter rod is available, similar to others offered on this page. Packaged in a polybag. Description: A nicely shaped cast ingot of pure Tin. This ingot matches the size of several other cast ingots offered on this site. A 1/2 inch diameter rod is also available. Also offered is a well-preserved shiny piece in a vacuum and argon-sealed glass ampoule. Packaged in a polybag. 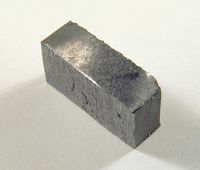 Description: A nicely shaped cast ingot of pure Antimony. This ingot matches the size of several other cast ingots offered on this site. A nicely shaped rod is also available, similar to other rods shown on this page. Also offered in crystalline chunk form, and a well-preserved shiny piece in a vacuum and argon-sealed glass ampoule. Packaged in a polybag. Description: A stunningly beautiful cast piece of pure Tellurium showing dazzling crystalline surfaces. 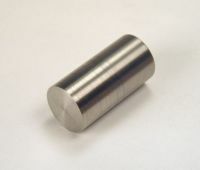 Two sizes are available, 30 grams, 1 1/2 inches diameter (38mm) and about 3/8 - 1/4 inch thick (6mm), and a 90-gram size, 2 1/2 inches (63mm) in diameter and about 1/4 inch thick (6mm) . Tellurium is a semi-metallic element with a metal-like shine and is very brittle. The 30 and 90 gram pieces especially show a dazzling array of crystal features and are one of the most beautiful pieces offered on this site (click here to view a typical closeup photo). Also offered is the 30-gram Tellurium piece in a clear resin casting for completely safe handling. In addition Tellurium is offered as crystalline pieces and a square-cut slab in an argon-sealed glass ampoule. Packaged in a polybag. Description: A sample of Iodine in a sealed glass ampoule. Unlike other ampoules offered here this ampoule is sealed in the iodine's vapor - not with argon and vacuum. Description: Pure Xenon gas offered in a sealed glass ampoule. 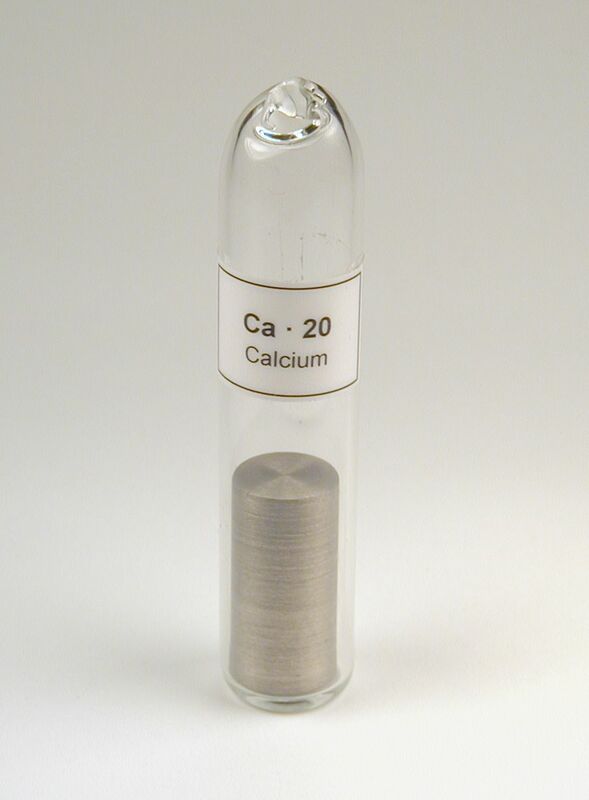 Description: Cesium metal safely packaged in our standard-sized ampoule with about 0.2 grams of metal. Cesium will react violently with water releasing hydrogen gas and igniting it. Also the metal will catch fire upon exposure to air. Description: Solid metal Barium piece cut from a larger ingot. The piece will have a thin coating of oxide/nitride which is difficult to prevent on this very reactive element. Packaged in a 40ml vial with mineral oil. Also offered is a shiny metal sample in a vacuum-sealed ampoule. Upon request a Certificate of Analysis will be provided showing purity of the metal and quality data. Description: Nicely shaped piece of Lanthanum metal cut from a larger ingot. 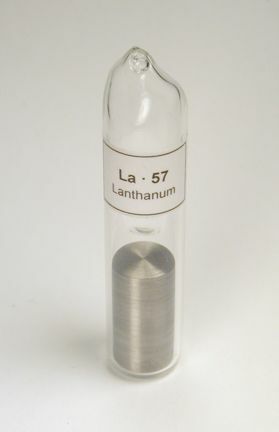 Lanthanum tarnishes easily to its characteristic bluish tone. Surfaces will be de-scaled of oxide coating. Packaged in a 40ml vial with mineral oil (20ml vial for 5-gram size). 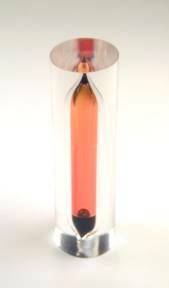 Also offered is a nicely shaped rod sealed in a glass ampoule. Upon request a Certificate of Analysis will be provided showing purity of the metal and quality data. Also offered is a well-preserved small shiny piece in a vacuum and argon-sealed glass ampoule. Lastly offered is a 5-gram sample in a 20-ml vial. 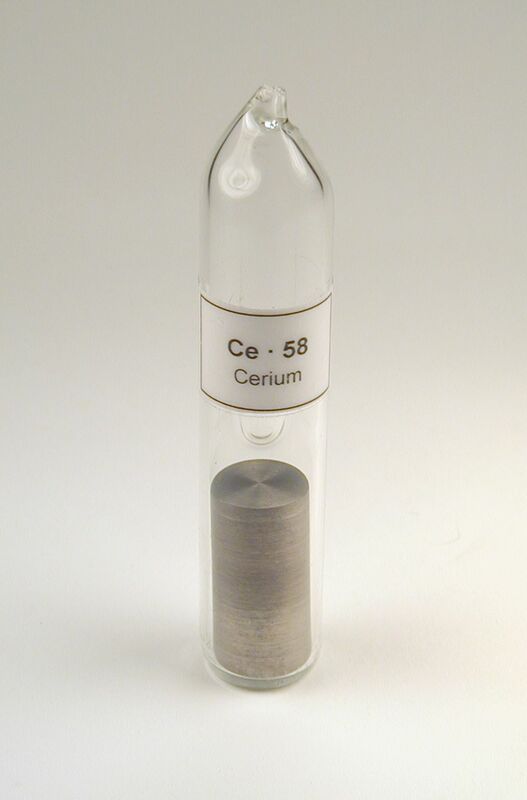 Description: Solid Cerium piece cut from a larger ingot. Packaged in a 40ml vial with mineral oil (20ml vial for 5-gram size). Upon request a Certificate of Analysis will be provided showing purity of the metal and quality data. Also offered is a well-preserved shiny piece in a vacuum and argon-sealed glass ampoule. 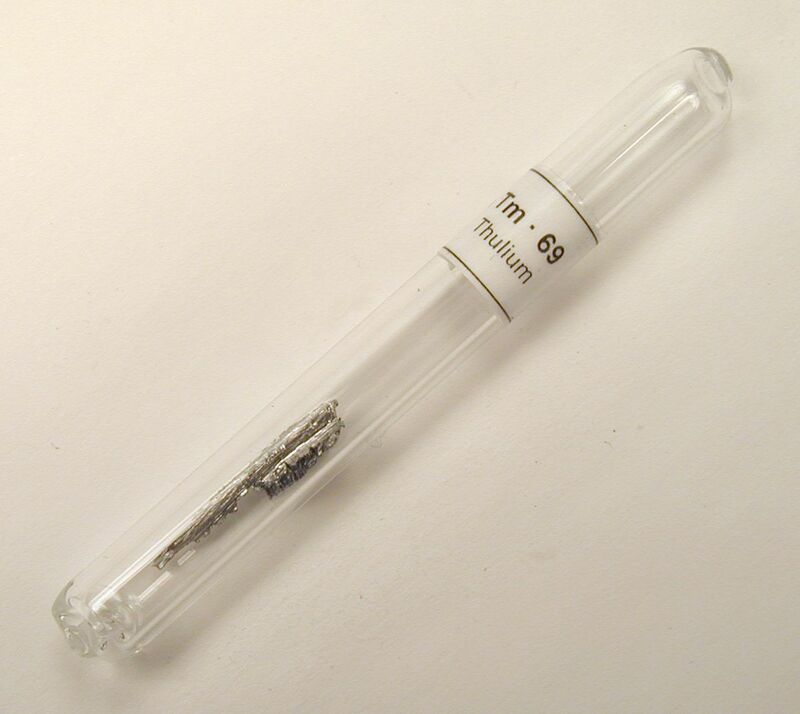 Also available is a 1/2 inch diameter rod vacuum-sealed in a glass ampoule. Lastly offered is a 5-gram sample in a 20-ml vial. 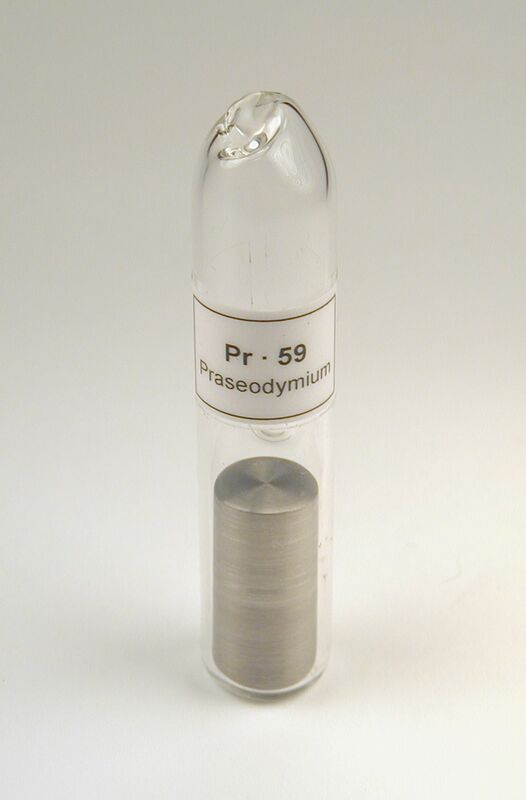 Description: Solid Praseodymium piece cut from a larger ingot. Packaged in a 40ml vial with mineral oil (20ml vial for 5-gram size). Upon request a Certificate of Analysis will be provided showing purity of the metal and quality data. Also offered is a well-preserved shiny piece in a vacuum and argon-sealed glass ampoule. Also available is a 1/2 inch diameter rod vacuum-sealed in a glass ampoule. Lastly offered is a 5-gram sample in a 20-ml vial. 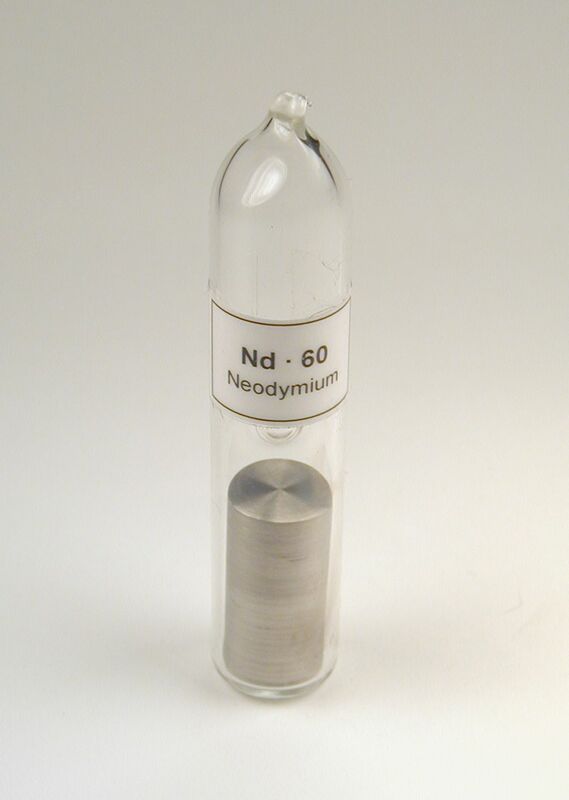 Description: Solid Neodymium piece cut from a larger ingot. Packaged in a 40ml vial with mineral oil (20ml vial for 5-gram size). Upon request a Certificate of Analysis will be provided showing purity of the metal and quality data. Also offered is a well-preserved shiny piece in a vacuum and argon-sealed glass ampoule. Also available is a 1/2 inch diameter rod vacuum-sealed in a glass ampoule. Lastly offered is a 5-gram sample in a 20-ml vial. 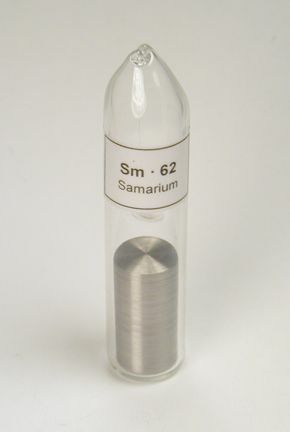 Description: Large chunk of Samarium metal chopped from a large ingot. This material will be either dendritic (stringy, crystalline) or solid cast metal. Packaged in a polybag or for the 5g sample, a 20ml clear plastic vial. Upon request a Certificate of Analysis will be provided showing purity of the metal and quality data. 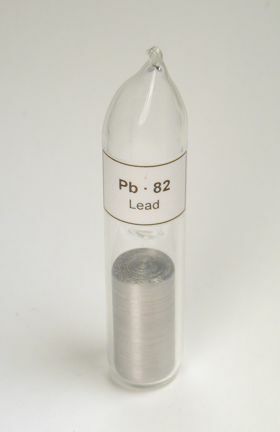 Also offered are a 1/2 inch diameter rod sealed in a glass ampoule and a well-preserved shiny piece in a vacuum and argon-sealed glass ampoule. Lastly offered is a 5-gram sample in a 20-ml vial. Description: One of the rarest of the rare-earth metals, and by far the most reactive. Packaged in a 40ml vial with mineral oil (20ml vial for 5-gram size). Upon request a Certificate of Analysis will be provided showing purity of the metal and quality data. Also offered is a well-preserved piece in a vacuum and argon-sealed glass ampoule. 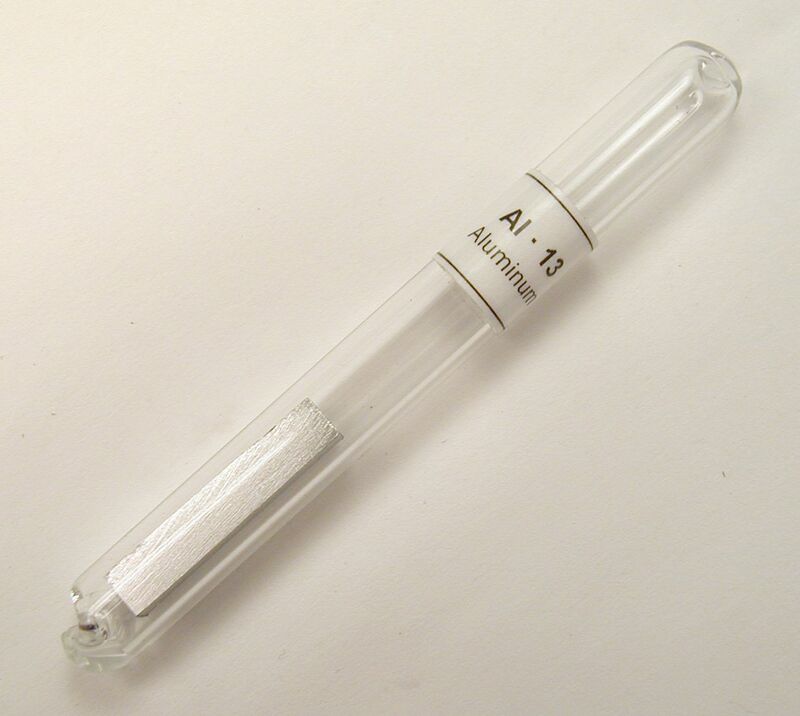 A 1/2 inch diameter rod is also available vacuum-sealed in a glass ampoule. Lastly offered is a 5-gram sample in a 20-ml vial. Description: Nice chunk of Gadolinium metal. This metal has the fascinating property referred to as the Curie point, where the strong magnetism of the metal diminishes when it is heated above room temperature. Packaged in a polybag or for the 5g sample, a 20ml clear plastic vial. Upon request a Certificate of Analysis will be provided showing purity of the metal and quality data. Also offered are a nicely machined 1/2 inch rod and a well-preserved shiny piece in a vacuum and argon-sealed glass ampoule. 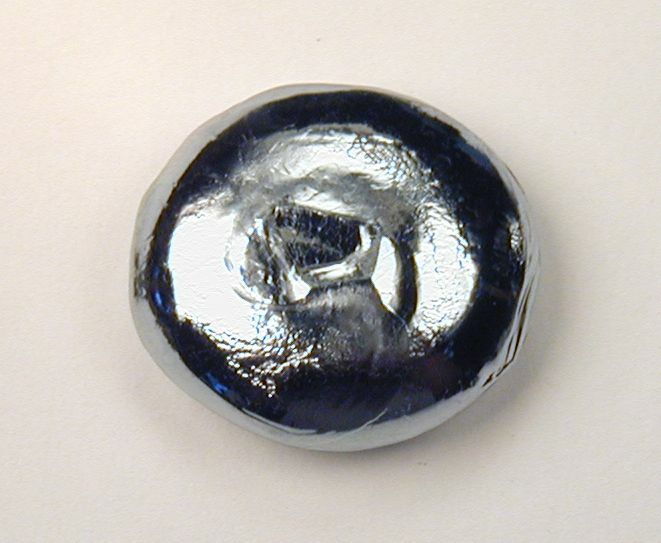 Description: Rare Terbium metal chunk. Packaged in a polybag or for the 5g sample, a 20ml clear plastic vial. Upon request a Certificate of Analysis will be provided showing purity of the metal and quality data. A 1/2 inch diameter rod is also available. Also offered is a well-preserved shiny piece in a vacuum and argon-sealed glass ampoule. Description: Dysprosium metal in chunk form. Packaged in a polybag or for the 5g sample, a 20ml clear plastic vial. Upon request a Certificate of Analysis will be provided showing purity of the metal and quality data. Also offered are a 1/2 inch diameter rod and a well-preserved shiny piece in a vacuum and argon-sealed glass ampoule. Description: Holmium metal chunk or ingot. Packaged in a polybag or for the 5g sample, a 20ml clear plastic vial. Upon request a Certificate of Analysis will be provided showing purity of the metal and quality data. 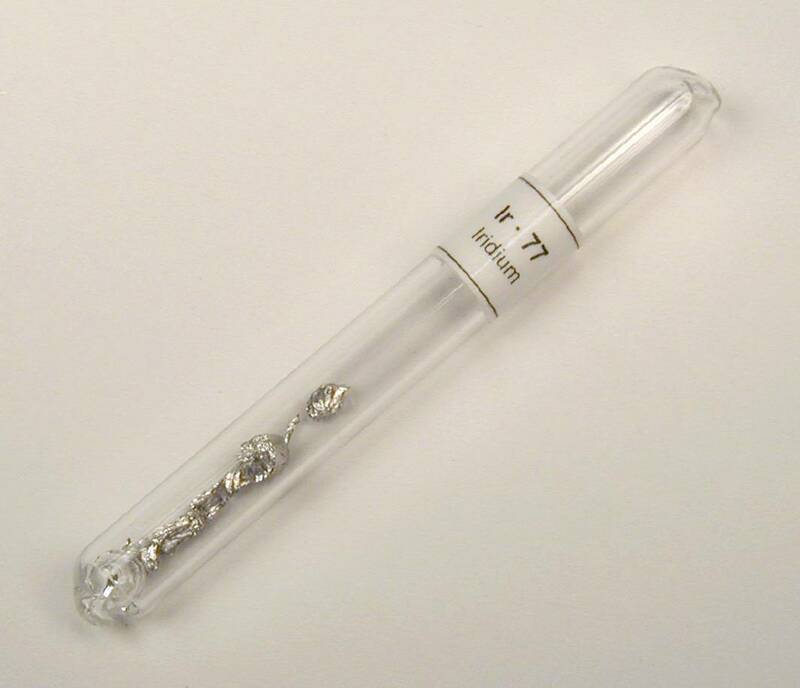 Also offered are a 1/2 inch diameter rod and a well-preserved shiny piece in a vacuum and argon-sealed glass ampoule. Description: Erbium metal chunk. One of the uses of this metal is as a doping agent for fiber optics. Packaged in a polybag or for the 5g sample, a 20ml clear plastic vial. Upon request a Certificate of Analysis will be provided showing purity of the metal and quality data. Also offered are a 1/2 inch diameter rod and a well-preserved shiny piece in a vacuum and argon-sealed glass ampoule. 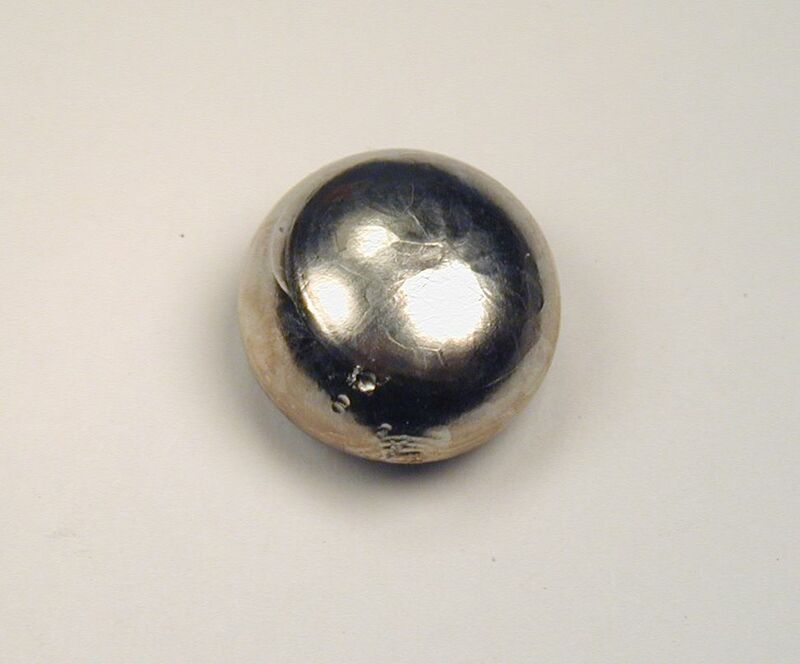 Description: Thulium metal piece. One of the rarest of the rare-earth metals. Packaged in a polybag or for the 5g sample, a 20ml clear plastic vial. Upon request a Certificate of Analysis will be provided showing purity of the metal and quality data. Also offered is a well-preserved shiny piece in a vacuum and argon-sealed glass ampoule. The ampoule comes in two choices: A chopped piece of dendritic material, or a nicely cut square slab of cast metal. 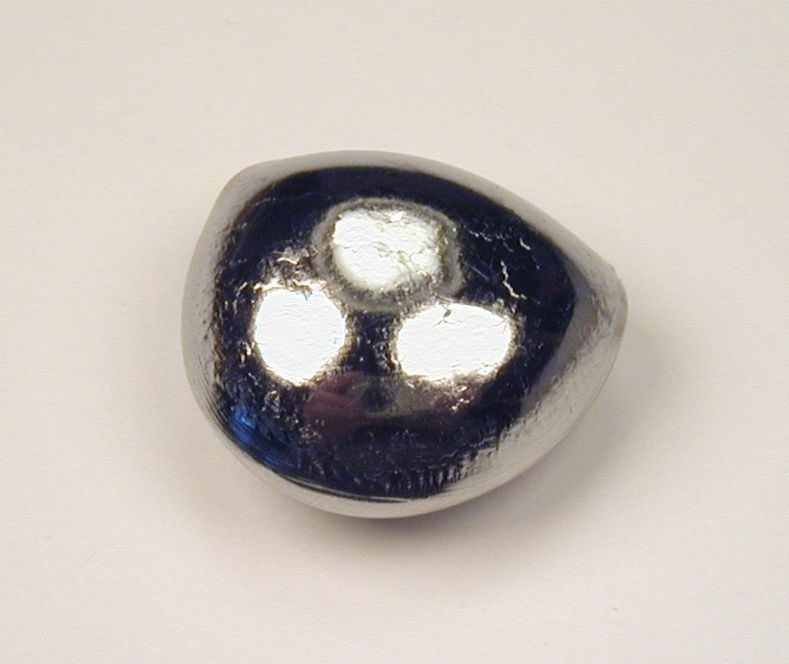 Thulium metal is very difficult to cast and is thus very expensive in this form. Also available is a 1/2 inch diameter rod. Description: Ytterbium metal chunk. This metal is unusual for its attractive natural yellowish color and the difference in hardness and density compared to its neighbors in the periodic table. Packaged in a polybag or for the 5g sample, a 20ml clear plastic vial. Upon request a Certificate of Analysis will be provided showing purity of the metal and quality data. Also offered is a 1/2 inch diameter rod and a well-preserved shiny piece in a vacuum and argon-sealed glass ampoule. Description: Lutetium metal piece. Considered to be the rarest of the Lanthanide series, this metal is brilliantly shiny and makes for a very attractive piece. Packaged in a polybag, or a 20ml clear plastic vial for the 1-gram size. Upon request a Certificate of Analysis will be provided showing purity of the metal and quality data. NOTE: Larger sizes available, please inquire. Also offered are well-preserved shiny pieces in a vacuum and argon-sealed glass ampoule. The ampoule comes in two choices: A chopped piece of dendritic material, or a nicely cut square slab of cast metal. Also available is a 1/2 inch diameter rod. 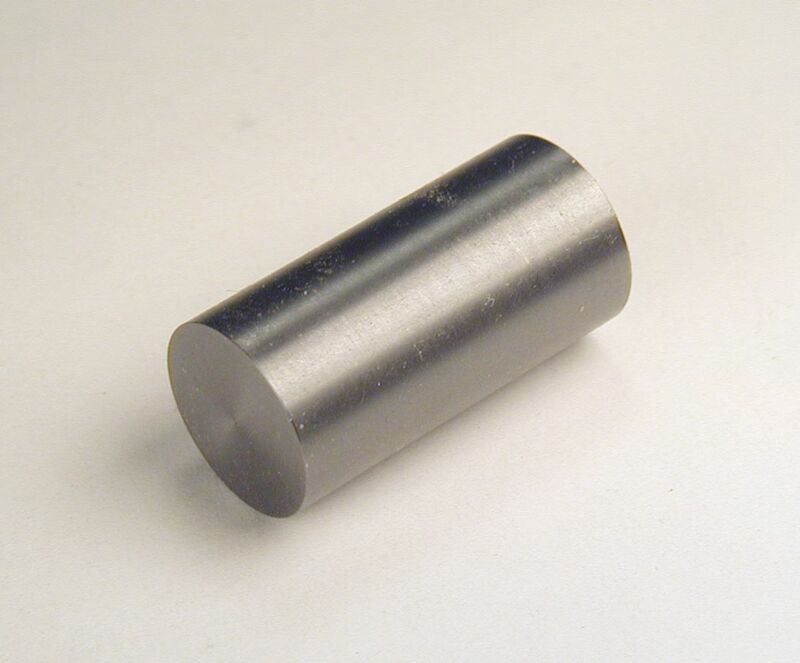 Description: Solid Hafnium arc-cast pellet 1/2 inch dia (12mm). A nice shiny sample of this rare metal. Packaged in a polybag. Upon request a Certificate of Analysis will be provided for the pellet showing purity of the metal and quality data. A 1/2 inch diameter rod is also available, 1 inch long. Also offered is a well-preserved shiny piece in a vacuum and argon-sealed glass ampoule. 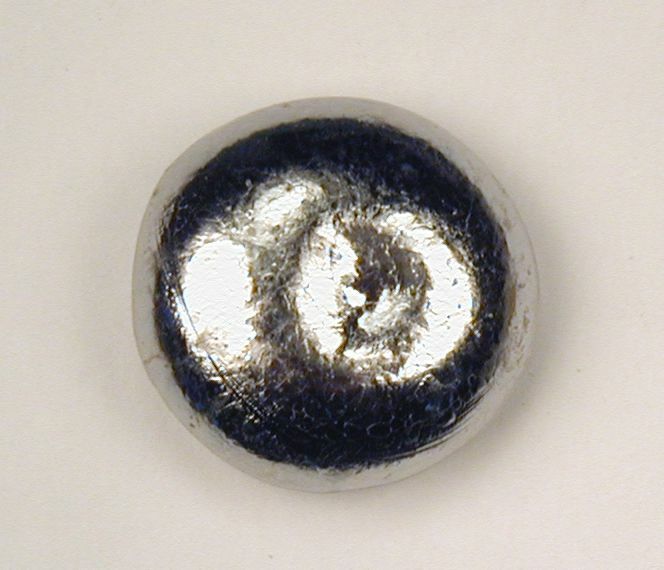 Description: A very shiny 10-gram arc-melted pellet of very pure tantalum metal. Packaged in a polybag. Upon request a Certificate of Analysis will be provided for the pellet showing purity of the metal and quality data. 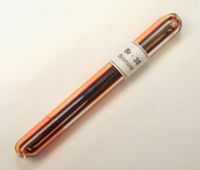 A 1/2 inch diameter rod is also available, 1 inch long. Also offered is a 25-gram cut square of pure tantalum, about 3/4 inch square. Also offered is a well-preserved shiny piece in a vacuum and argon-sealed glass ampoule. 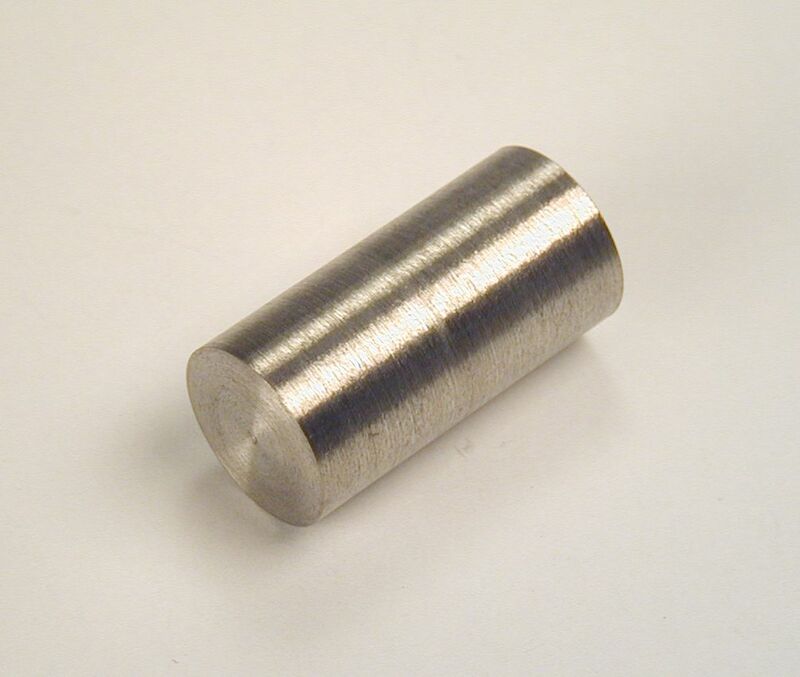 Description: Nicely shaped arc-cast pellets of pure shiny Tungsten metal in 10-gram and troy-ounce sizes. Also offered are rods in 1/2 inch dia x 1 inch long and 1/4 inch dia. x 1/2 inch long. 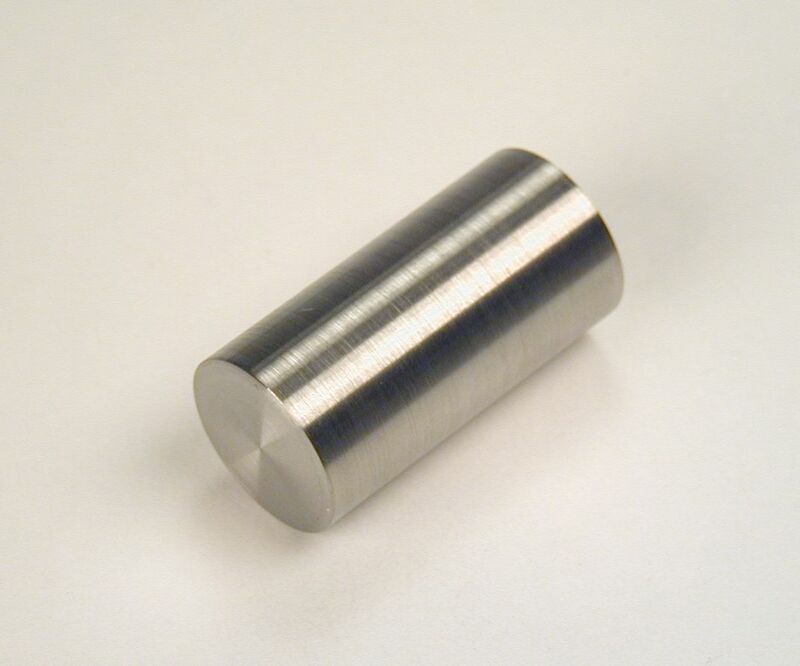 The 1/2 inch diameter rod is a great demonstration of the density of Tungsten metal. Packaged in a polybag. Also offered is a well-preserved shiny piece in a vacuum and argon-sealed glass ampoule. Upon request a Certificate of Analysis will be provided for the pellet and 1/2 inch dia. rod showing purity of the metal and quality data. 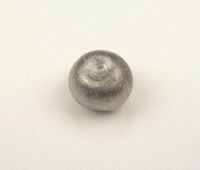 Troy Ounce Pellet (31g), roughly 0.7 inch dia. Description: These Rhenium pellets were arc-cast from metal powder or sintered pellets. 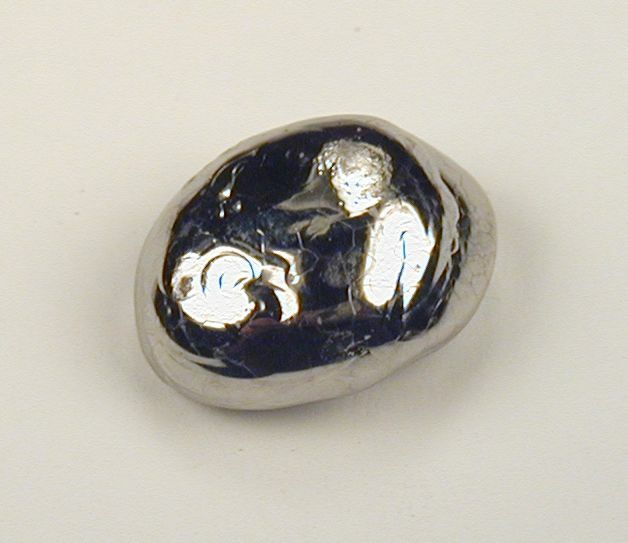 A beautiful shiny example of this very hard metal which has the second highest melting point of any metal, surpassed only by Tungsten. Packaged in a polybag. Upon request a Certificate of Analysis will be provided showing purity of the metal and quality data. 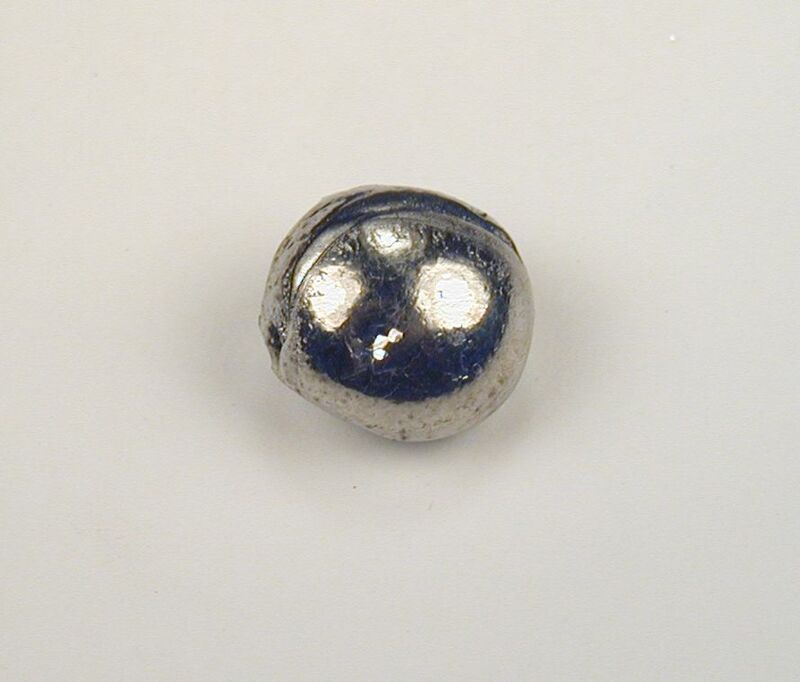 Description: Solid arc-cast Osmium pellet showing its brilliantly shiny, bluish surface. 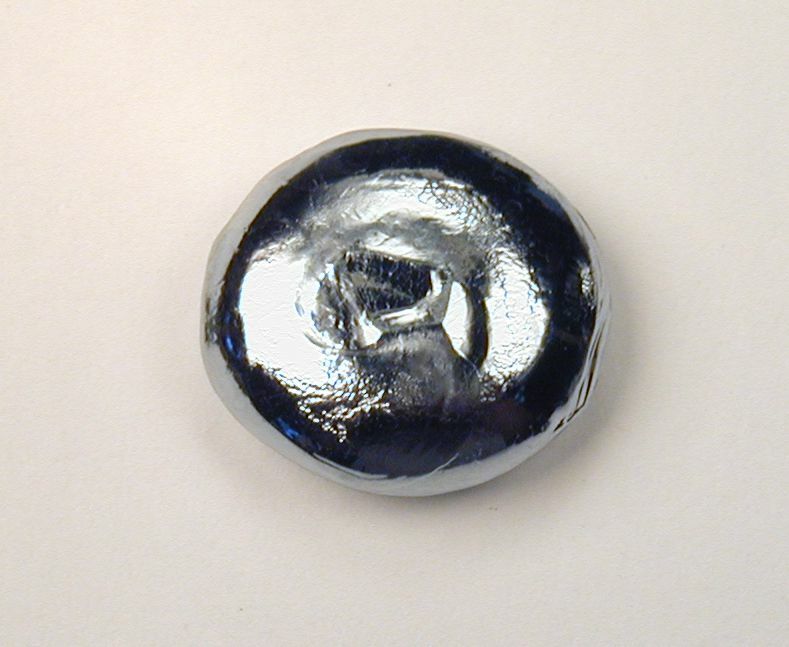 The heaviest metal in existence, Osmium is rarely seen in this form, it is usually in powder form or sponge. Packaged in a polybag. Also offered are shiny Osmium chips in a vacuum and argon-sealed glass ampoule. The chips are broken from an arc-cast pellet and are shiny with no powder. Upon request a Certificate of Analysis will be provided showing purity of the metal and quality data. Larger sizes are available as special orders, please inquire. 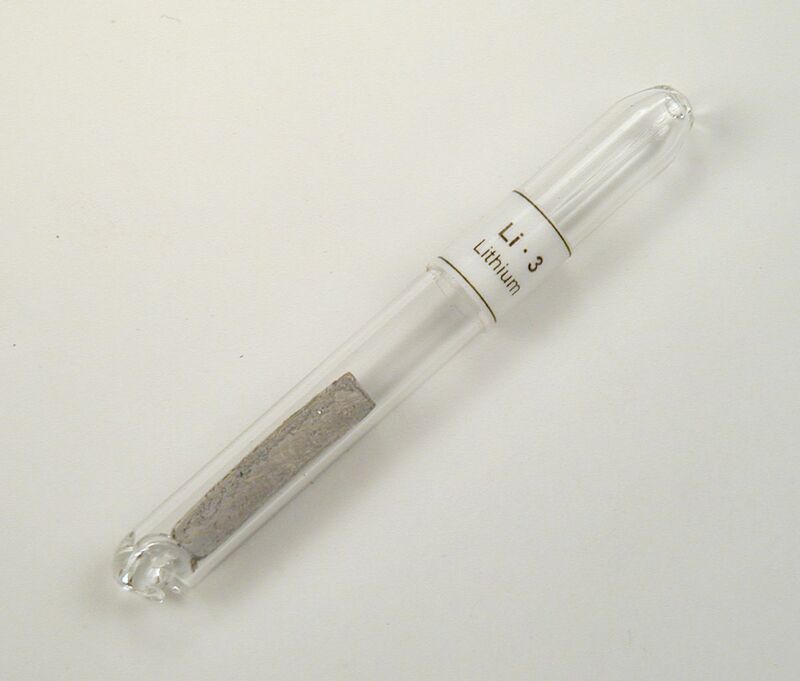 Description: These pellets are pure Iridium metal arc-cast from raw metal powder. 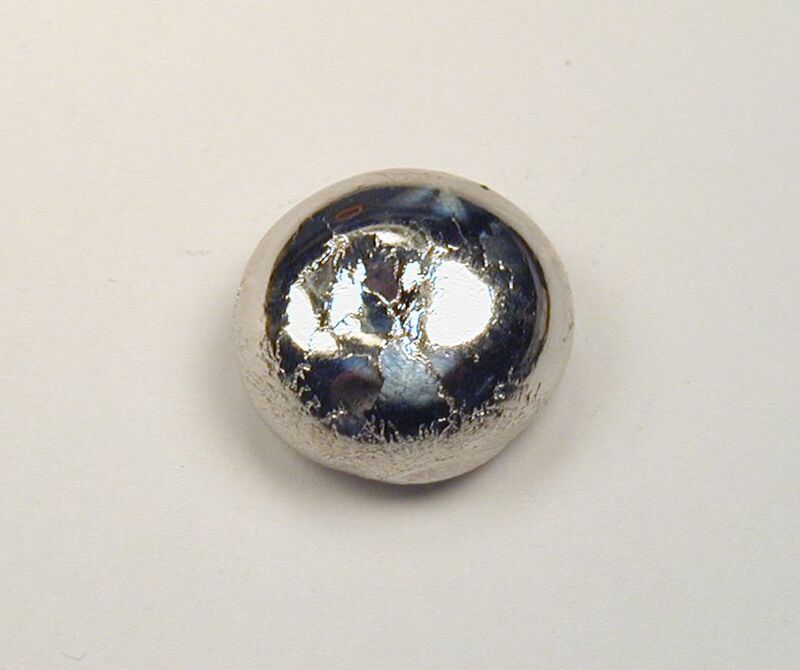 It is a beautiful, shiny metal in this state and is the second heaviest element known next to Osmium. Packaged in a polybag. 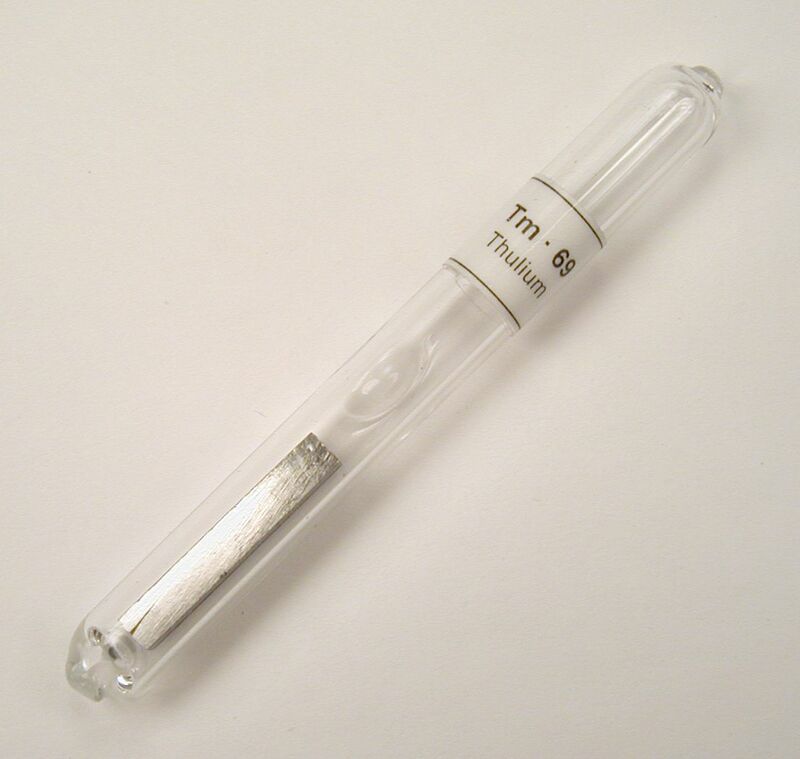 Also offered are shiny Iridium chips in a vacuum and argon-sealed glass ampoule. The chips are broken from an arc-cast pellet and are shiny with no powder. Upon request a Certificate of Analysis will be provided showing purity of the metal and quality data. Description: Solid arc-cast Platinum pellet. Very shiny, attractive piece of this very rare and expensive precious metal. Packaged in a polybag. Upon request a Certificate of Analysis will be provided showing purity of the metal and quality data. Description: Solid, shiny arc-cast pure Gold pellet. Packaged in a polybag. Upon request a Certificate of Analysis will be provided showing purity of the metal and quality data. Description: Pure liquid Mercury metal packaged as a well-preserved sample in a sealed glass ampoule. NOTE: A disclaimer is required for mercury, please inquire prior to purchase. Description: A well-preserved small shiny piece in a vacuum and argon-sealed glass ampoule. Also available in a glass ampoule is a nicely cut square slab. Description: Nicely shaped cast ingot of pure Lead. This ingot matches the size of several other cast ingots offered on this site. Pellet available in 10-gram size. A 1/2 inch diameter rod is also available loose or sealed in a vacuum-sealed ampoule to keep it shiny. Packaged in a polybag. Also offered is a well-preserved shiny piece in a vacuum and argon-sealed glass ampoule. Description: Nicely shaped cast ingot of pure Bismuth. This ingot matches the size of several other cast ingots offered on this site. Pellet available in 10-gram size. Also, a nicely shaped Bismuth rod, similar to those offered in other metals. Packaged in a polybag. Also offered in crystalline chunk form and as a well-preserved shiny piece in a vacuum and argon-sealed glass ampoule. Normal first-class airmail shipping within the USA by U.S. Postal service is offered by default. If you wish for this shipping service you do not need to do anything more before you checkout - the postage charge will be automatically added to your order after you checkout. (For descriptions of shipping services by the US Postal Service, see: http://www.usps.com).